After a three year run in Austin, Texas, competition moved north to Minneapolis and the state of the art US Bank Stadium. 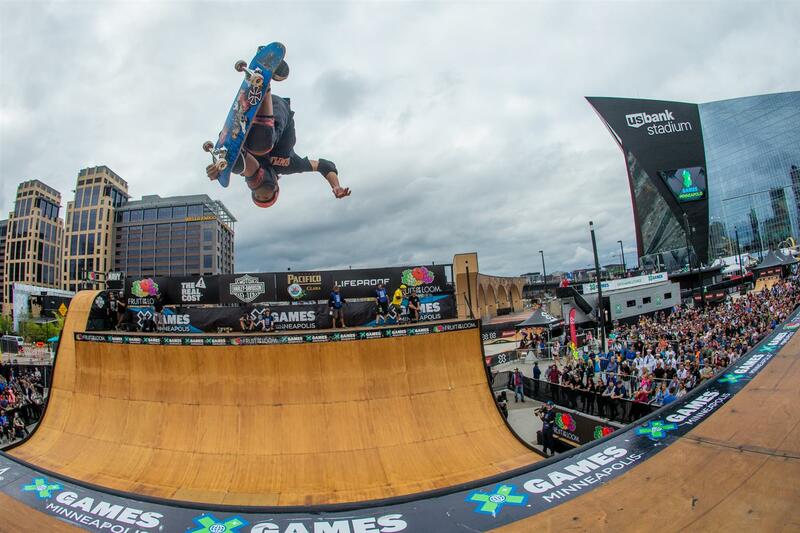 Continuing through the weekend, the venue will bear witness to Moto X, BMX and Skateboard athletes riding side by side in a one-of-a-kind venue with the majority of competitions under the same roof. In addition, a host of today's hottest musical acts will rock the city each night at the Commons stage located outside the stadium. 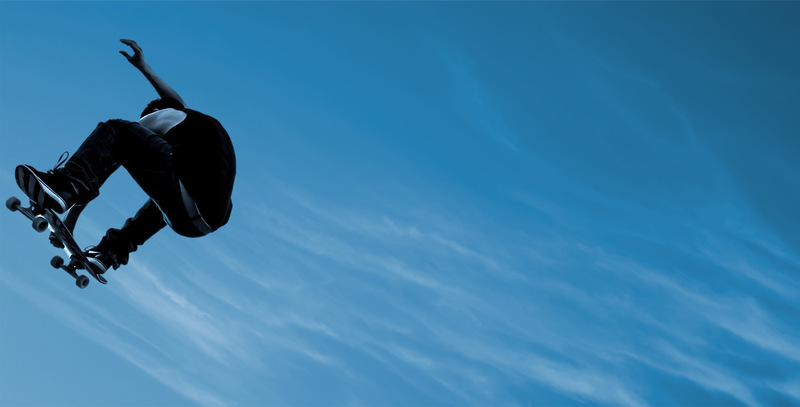 All of this and a wide range of entertainment and activities including interactive skate and BMX parks, athlete autograph sessions and sponsor giveaways for all who attend. Today's action kicked off with the Fruit of the Loom BMX Vert Finals where Vince Byron repeated last year’s gold medal performance to top podium once again. 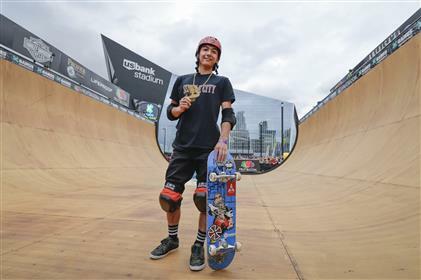 Up next, X Games saw the youngest ever podium at the Fruit of the Loom Skateboard Vert competition signaling a new era in halfpipe skating. 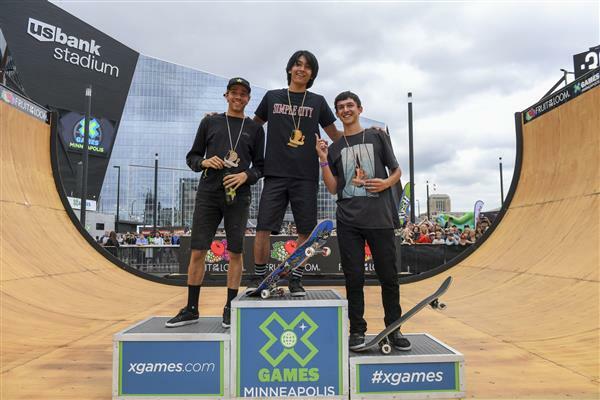 In just his second X Games appearance, 21-year old Moto Shibata from Japan rolled away with the victory against a field of 10 riders from around the world. Simply put, it was Shibata’s style and spontaneity that won the judges over. 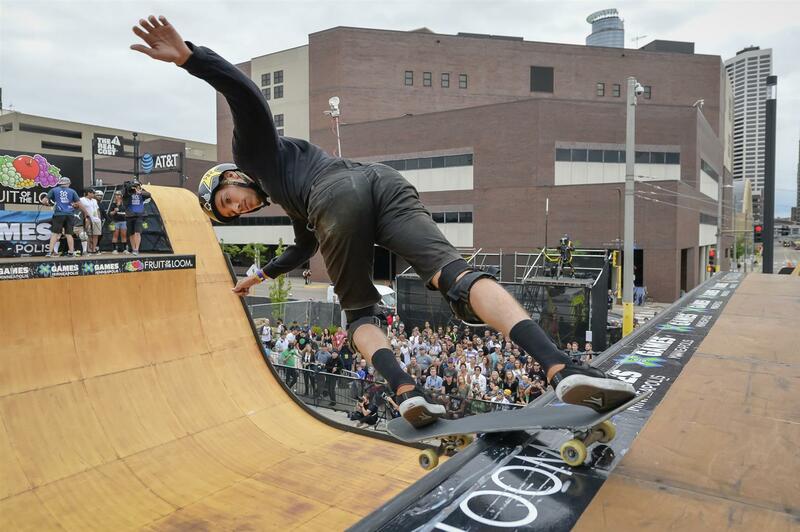 Pulling off tricks like a font foot lien impossible as well as a frontside cab Madonna, the young rider is unlike any other on the ramp these days showing an old-school style spiked with next generation talent. His first run score of 90.00 held on to the top spot despite solid efforts from 23-year-old Jimmy Wilkins (89.00) and California’s Mitchie Brusco (88.66). 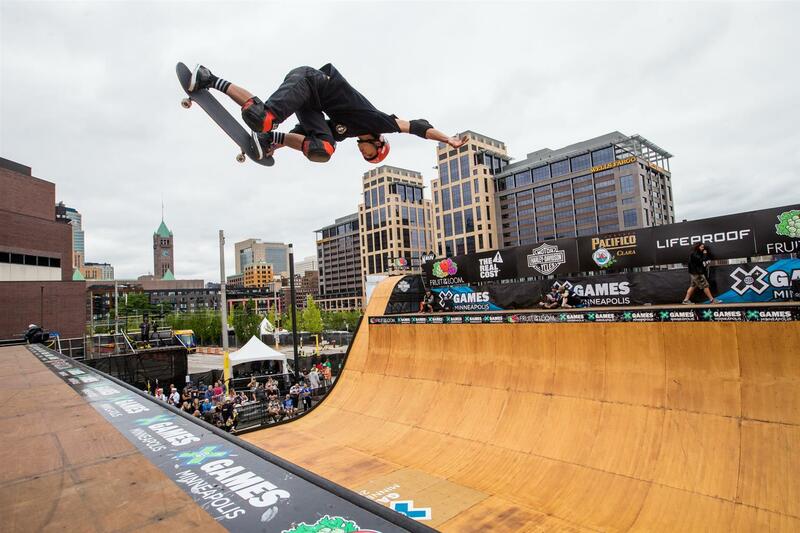 Shibata won silver in his X Games debut last year, suggesting a changing of the guard atop the vert podium which has long been dominated by veterans. Meanwhile, across town at the Mall of America it was Sammy Halbert who was able to fend off the heat to take his first ever gold in the Harley Davidson Flat Track Final. Wrapping up the night over the First Avenue Club made famous by none other than the legendary artist Prince, a host of local musicians including deM atlaS and Aesop Rock took to the stage inviting fans to join the party late into the night. The action continues tomorrow with a host of competitions scheduled including the BMX Street Final, Women's Skateboard Street Final, The Real Cost BMX Big Air Final and the highly charged Pacifico Moto X Freestyle Final, before musical act A Day to Remember takes the stage. 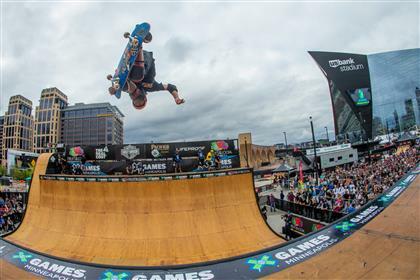 For more information about this amazing event visit X Games website or Facebook page.